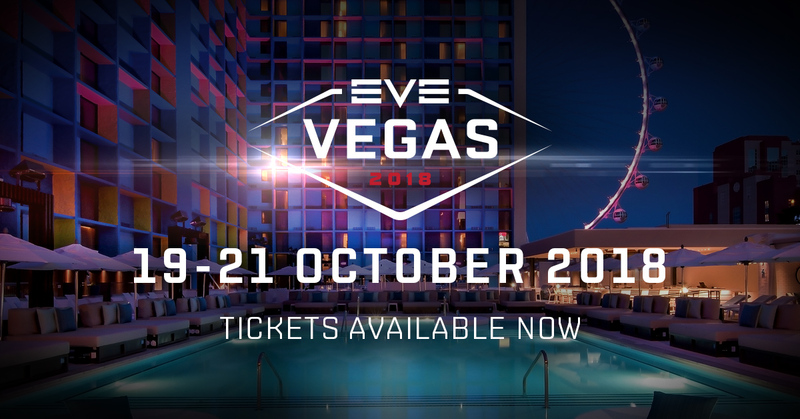 EVE Vegas 2018 Player Speakers Announced! With EVE Vegas just over a month away, we're super happy to announce that we've finalized our list of player speakers for this year! We're delighted to welcome these pilots to the EVE Vegas 2018 content crew, and we're looking forward to seeing their presentations in October! If you're one of the pilots selected, you need to check your email and get back to us as soon as possible in order to confirm your details. Huge thanks to everyone who decided to submit an application to speak this year, there were some fantastic session suggestions! EVE Vegas has already broken the record as the largest event we've ever hosted in North America, with more than 1000 attendees due to hit the desert in Nevada for party time and talk about spaceships. If you're an EVE nerd like the rest of us, this is an event you DO NOT want to miss. Tickets are super close to selling out, to the point where we'll more than likely not have any left for purchase at the venue, so if you're looking to get one - be sure to do so as soon as possible. Head on over to the EVE Vegas Website if you'd like to secure your tickets today!